Psychic children have the ability to perceive reality through their subtle psychic senses in addition to their physical senses. The truth of the matter is that yes, it’s highly likely that your child has some, or even a great deal of psychic ability. The reason for this is that most children today are retaining more of the fullness of their soul light when they are born into the physical. Because of this, they’ve not taken on many of the filters which block many adults and older children from experiencing life beyond the physical using the psychic senses we all have access to. Learn more about psychic abilities here. However the psychic ability is manifesting, for new parents, and especially those who are closed off to their own psychic abilities, this can all be a bit confusing, overwhelming, and for some even frightening. But I can assure you, it’s nothing to worry about, and actually, when developed and understood your child’s psychic ability can become incredibly useful for them in navigating their way through life. 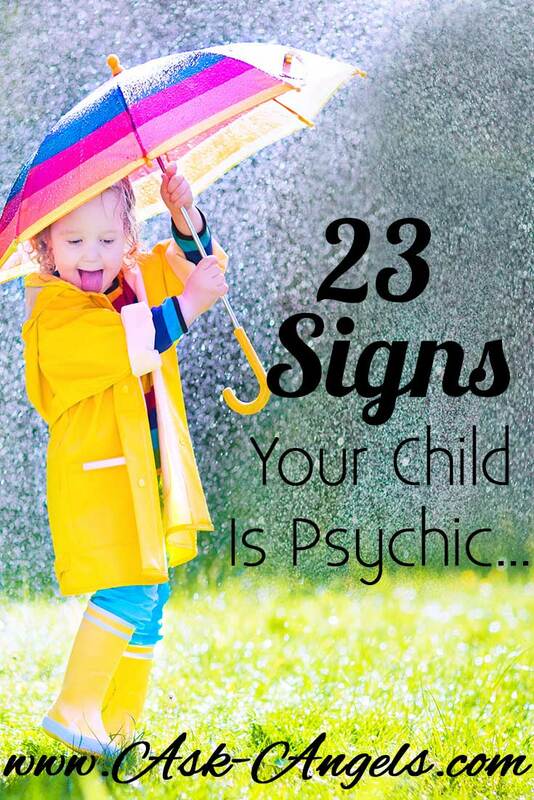 So how do you know if your children are psychic? Pay attention! Children with psychic ability are often easy to identify, especially when you know what to look for. 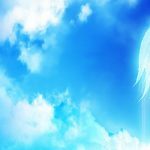 This is by no means an all encompassing list, because as I mentioned, every child perceives and experiences their psychic abilities in a unique way. That being said, here are some of the top signs displayed by psychic kids. Highly sensitive both emotionally, and physically as well as sensitive to other people, places or things. An incredibly creative and vivid sense of imagination. Very intelligent, but can be easily distracted. They seem to take on the pain or challenges of others. Trouble falling asleep, as well as not wanting to go to bed. Fear of the dark or of being alone. They feel isolated by many of their peers, and are even ridiculed or made fun of for being weird. Being deeply attracted to animals, crystals, and plants. They love spending time in nature. 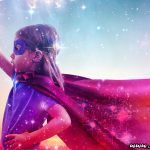 Again, this list is not all encompassing… Psychic ability manifests in all children differently, and therefore so do the signs… The above however are strong indications that your child perceives beyond the normal physical senses and with psychic receptors. Children Have Their Psychic Gifts For A Reason! Psychic children have their gifts for a reason. They’re here on earth with unique purposes and missions to create changes, manifest blessings and help restore the energy of love and peace on the planet. Many have a profound ability to bring healing to others as well, both spiritually, mentally and physically. They may share messages from the other side, or simply complete this work through their vibration of love, light, and their joyful presence in the moment. Many psychic children do end up blocking their abilities by the time they’re adults due to fear, preconceived notions from others, as well as not wanting to feel isolated or different from their peers. When this happens, as adults they tend to reach a breaking point of feeling purposeless, disconnected and unfulfilled. A tragedy, loss, dark night of the soul or other event may initiate a re-awakening where their gifts come back into focus, and they realign with their psychic ability, and a deep understanding of their purpose, life’s work and gifts. Spiritual practices as well as psychic development and psychic protection are encouraged to support all psychic children. Really, psychic development and spirituality go hand in hand. If you head down the path of spiritual practice long enough, you will develop psychically. If you practice psychic development, you're going to become spiritually aware. Both paths lead to one another, and are accessed through Source, God, Light, Love and the energy of Onessness that flows throughout all. If you walk one path, you will find the other. As adults, parents, aunts, uncles and teachers, we have an opportunity to love and support psychic children on their unique paths. Their gifts and abilities are needed for the future of humanity, and earth, and their differences rather than judged should be supported and celebrated. 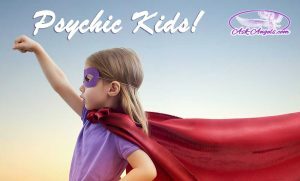 Learn more about How to Help Psychic Kids Here! My son is psychic and so am i, your son doesn’t need a psychiatrist, he needs to understand what he is and what he can do so he learns to control it and no fear it. i work with an energy that can help guide him if you’d like some advice. Good morning. I’m searching for help for my 11 year old daughter. From about age 2, she has seen of what shelse describes as shadows of people… Some she reports are family members who were deceased before she was born, sometimes her grandfather who passed when she was 7 & she was very close to, sometimes her beloved deceased cat and sometimes she doesn’t know them. She reports smells associated with some of them. Mostly they do not scare her at all & she talks matter of factly about these experiences. We are of the Christian faith & I’ve looked for answers in the Bible. I do believe in angels. She & I talk about her experiences, but most others dismiss her feelings…even saying she’s got psychiatric problems. I do not encourage nor discourage her because I don’t know what to do. She fits a lot of 23 signs on this sight… please help me help my daughter. Hi, I’m francisco. I’m one of these psychic children. I’m 18 years old and I somewhat understand how to use my abilities. You could help your daughter persue these gifts in many ways. Look up meditation techniques. Have her interact with the beings she talks about. She could ask them what their needs are and this would benefit both your daughter and the beings. Hi! I love your post! My son is 4 in April and he frequently knows things are going to happen a few minutes before they happen. Like, he will smile and hide his face and tell me “Don’t talk to grampapa on the phone!” 2 minutes or less later, my dad calls. Or he will tell me someone is knocking on the door, and someone will show up and knock just after. Have you heard of that happening in young kids before? Should I work with him in any certain ways to help him develop these things? Your response is much appreciated, thank you! I’m worried about my daughter, she is 15. She seeing things, hearing things, she can’t sleep and says sometimes she wakes up to a shadow man watching her, this actually happens a lot, there were even two of them the other night. Also I think she is astral travelling. People are telling me she should go see a doctor but I’m not convinced. I’m not sure what to do next to help her. Any ideas? First off… Ask for angelic assistance! Archangel Metatron is incredibly helpful for this sort of thing and there is much angels can do to help. This absolutely made me smile inside and out!!! I’m so awake now in my life I definitely embrace my gifts and blessings! I started crying the happiest tears reading this about children. My 19 yr old he had always been very aware, yet withdrawn, I understood him! It helped him to grow into a very awesome intuitive crazy wild very giving and loving young man! He trusts his feelings thoughts and vibes very much. And I do as well. He is very I don’t wanna say powerful yet I guess that’s what it is. He can guide any and all to the good he sees that he knows, and they trust him very much. As I do also.. Now the crying came so much more because my 3 yr old granddaughter that I am raising is 100% without a doubt gifted, phsycic, awesome, she always talks to angels. Especially my dad who died before she was born. But she knows him she loves him and speaks of him as if he is physically right here with us. And o my goodness when she talks about my daddy I smile and tears fall I know my dad is with us . She sure let’s me know!! My lil Camilla Jr. Is an angel herself. She is a big huge reason as to how and why I’ve awaken and started to love ME! Myself. And like I said I’ve been so blessed with just my eyes being opened!!! I am headstrong on loving and giving to our kids in out community. They are our future! They need love guidance and acceptance .. Love conquers all. Thank you so very much for this article. Thank you. Bless. I’ve known all of my life that I was different. As a toddler, I remember talking to (my friend)an Angel. I’ve always had vivid dreams, sometimes premonitions. Academics were very easy for me.I feel other peoples feelings as if they’re my own, sometimes not able to differentiate. I have always been able to see and notice Elementals presence. My Maternal Grandmother was half Cherokee Indian, a and half German,she also had “visions”my Mother had them as well.They attested most of my “gifts/oddities” to being of Native American, but inside me I knew it was more. I’m now in my 40’s and have instead of running from or covering up my abities, I’m now on a quest to learn,develop, and master them. Thank you for giving me Hope, and much needed guidance. My daughter is very gifted. I’m clairvoyant and was always discouraged to talk about my gifts. I suppressed for a long time. My daughter is only 7 and she is a medical intuitive, she talks about a past life in Paris during WWII. She talks about Hitler when he marched into Paris. She can describe in detail works of art that are displayed in the Louvre. She is learning to read auras and learning Reiki with me. She is also obsessed with crystals. I am working with her so that none of these gifts are lost. If only we could form a group or community for these children. They are so very different from their piers. I find by providing a safe space for my daughter to express herself is imperative and keeping all media at a minimum is essential to her growth. This is beautiful Lisa… And exactly why she’s chosen you as her mother! I have a great niece that has every single on of these attributes. I have been trying to point it out to her parents so that they can teach her to utilize this amazing gift she has. They seem to be reluctant, any advise for them by anyone would be greatly appreciated. You can support her by providing her with a super clean diet, whole foods and cutting out toxins and chemicals! And also, mention to her she can surround herself with light, call in angels for protection etc. Learning about energy clearing and psychic development yourself can be helpful too so you can keep your home clear, and keep opening the lines of communication with her. This is a tough one Victoria… Keep asking the light and angels to surround them both… You can’t force people to change or open up, but you can encourage it with lots of love, light and positive intentions.